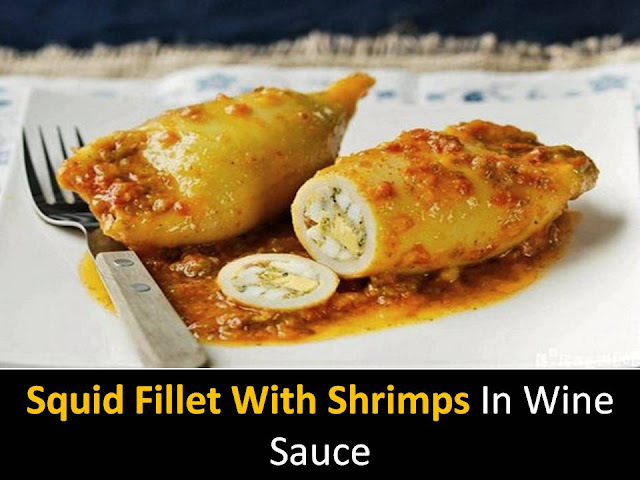 Squid fillet with shrimps in wine sauce recipe - a delicacy, they are rich in calcium and protein, but low-calorie. Crustacean meat reduces the risk of blood clots, useful for anemia. You can serve boiled rice with this dish. 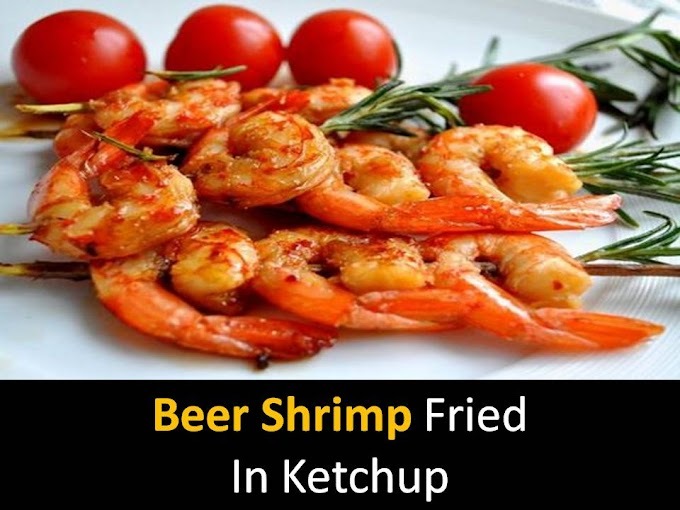 Step1 - Fry the shrimps in a little oil and place on a plate. Step2 - Fill the carcasses of squids with the mixture and pin the hole with a toothpick. Roll in flour and fry in vegetable oil. In the same pan fry chopped onion and pour in white wine and boil a little. Peel and seed tomatoes finely chop and add to sauce. A few minutes before the sauce is ready and add the stuffed squid and warm it. Squid fillet with shrimps in wine sauce to serve.